I have always been fascinated and inspired by the BALLETS RUSSES, the story, the costumes and the people involved in the creation of this wonderful ballet troupe. Originally conceived by impresario Sergei Diaghilev, the Ballets Russes is widely regarded as the most influential ballet company of the 20th century. I began in 2014 to create a series of woodcut prints to express my admiration and inspiration for this period of when art danced with music. I decided to create this series with various printing techniques, Natasha would be a reduction woodcut. To achieve this goal I traveled to New Mexico to work with my friend and mentor, master printer Ouida Touchon. It was a very busy and exciting time. 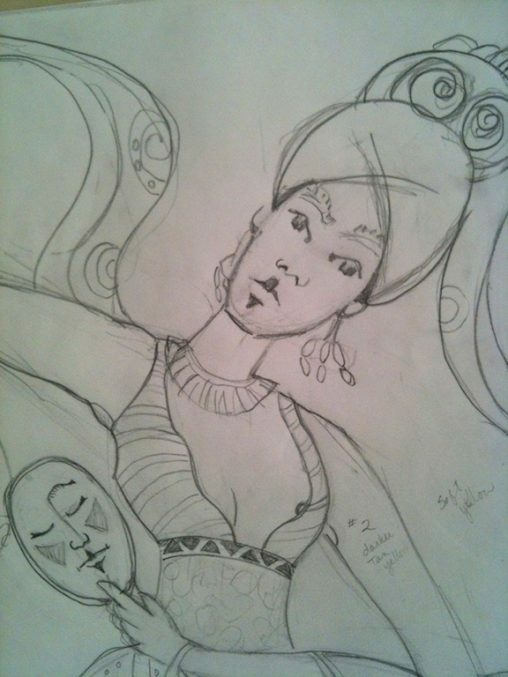 I began to research images and began sketching ideas for my woodcuts from several publications . This books Ballets Russes and the Art of Design published by The Mocacelli Press became one of my best resources. 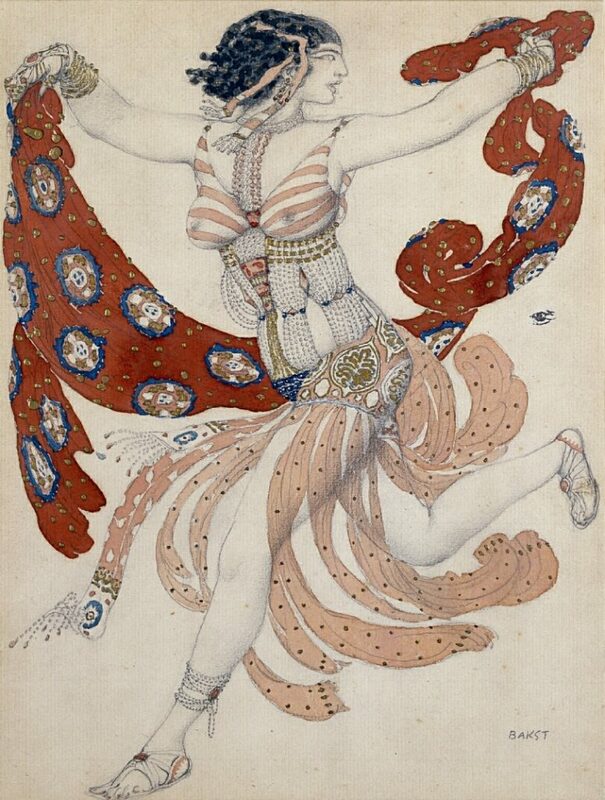 I found many wonderful photos pf the work of Leon Bakst who created so many of the costumes in the ballets performed in Paris 1910. The first image below was one of the images I chose as my inspiration for Natasha. After tracing the drawing, I began carving the 2 x 3 foot board... it took 3 days. 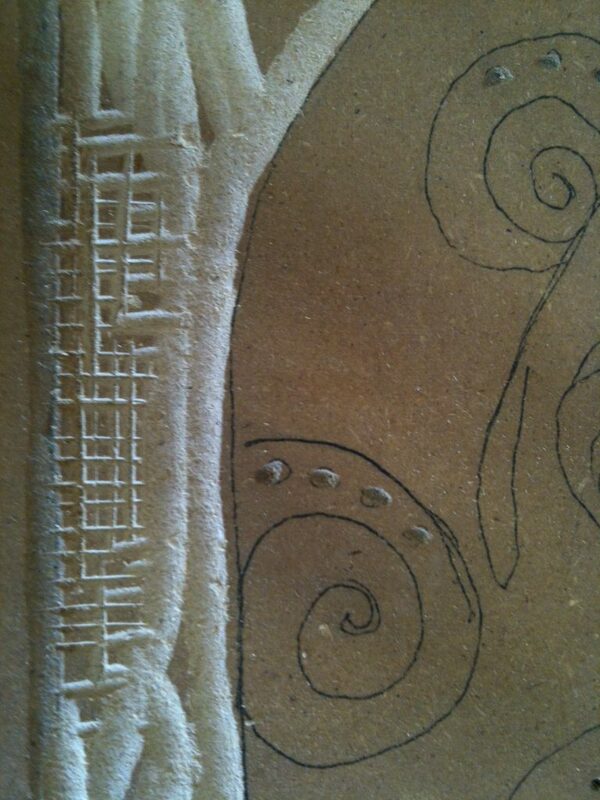 Above you can see the Detail of the carving, followed by the challenging reduction woodcut printing process. Photo 2 above shows Ouida Touchon registering. We printed 8 colors x 8 prints equaling 16 runs of this image. Then the drying process begins.